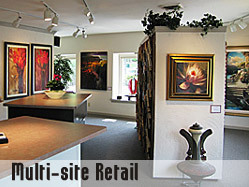 Yesterday and Today Frame Shop increases profits while providing great customer service. 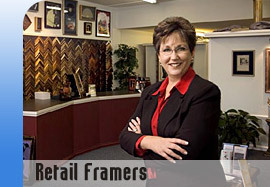 As the owner of Yesterday and Today Frame Shop, Sherry Gray knew the importance of efficient use of time. Keeping vendor prices up to date was very time consuming. 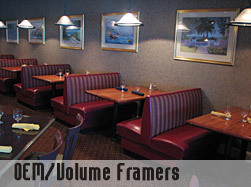 Another time consuming challenge was shuffling through old work orders when a customer requested that a new frame job match one that had been done previously. Yesterday and Today Frame Shop implemented SpecialtySoft POS. Using the SpecialtySoft web site, there is easy access to weekly vendor updates. Also, customer orders and invoices are easily previewed and recreated using SpecialtySoft customer history. 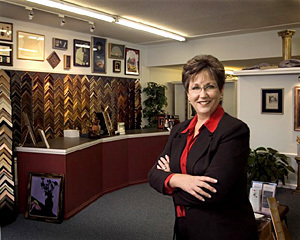 Sherry Gray, owner of Yesterday and Today Frame Shop, no longer spends countless hours updating price information on framing samples or losing money because she didnt have time to update pricing. She gets weekly price updates from SpecialtySoft. Also, Sherry saves time using SpecialtySoft customer history to search previous orders that her customers have placed. So what does Sherry do with her new found time? She is now the successful owner of a second Yesterday and Today Frame Shop.